Beyoncé–Imma let you finish, but New Kids on the Block, Disney characters, Warren Moon, 2000 local children, and an audience card stunt had the best Super Bowl (XXV) halftime show of all time—has claimed that girls run the world, but we all really know it is cats. 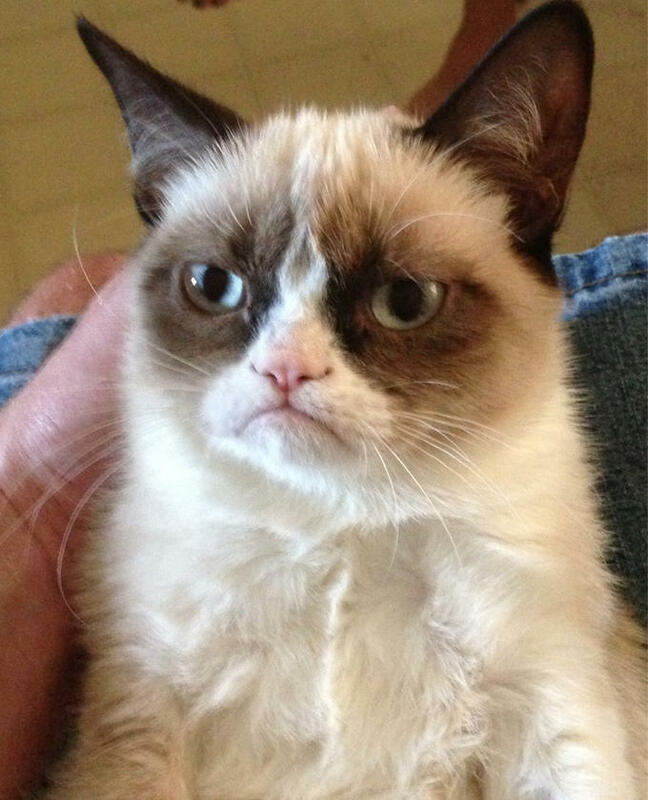 From Grumpy Cat, to a (sadly fake) crying confession of feline love, to woo potential soul-mates, to joining Homo Sapiens on two legs, to the Walker Art Center’s Internet Cat Video Film Festival, to Caturday, it is clear dogs are not really man’s best friend, at least on the Internet. To honor all of this, my roommate Nichole and I have created the amazing playlist below. We hope you purr in delight. When POP ETC, formerly “the morning benders”, announced a name change, they paired it with a complete overhaul of their sound, alluding to a philosophy of organic development as both people and musicians. Fans of the morning benders were inevitably polarized, many welcoming the band’s new sound and image with arms outstretched. While others clamored in disbelief, accusing the band of “selling out” and becoming just another carbon copy of existing bands marked by an electro-pop sound, the use of synths, and rhythms best attributed to the ’80s. But despite the backlash they encountered, POP ETC did nothing to compromise their new image; there were no apologies, no catering to nay-sayers, nothing that showed any sign of wanting to take two steps back to make everyone happy. For a lot of people, the love affair they’d had with the morning benders was over. But the beauty about not being able to please every single person is that no matter where you end up or who you become, someone’s going to share your happiness anyway, and those people become your champions, the ones who don’t yank you backward through the threshold but who nudge you forward in the direction of where you want to go next. True love is a lot like that, from start to infinity. Falling in love with a band is just like entering into the formation stages of a romantic relationship. The novelty grips you, you fill your waking hours with revolution upon revolution of your favorite record, waiting for the needle to drop, signaling another chapter of your love affair. In almost no time at all, you’re joined at the hip – just you and this record and every song whose melody lulls you to sleep or invokes a sentimentality you’re too smitten to shake. Every lyric is a reassurance, every crescendo becomes carnal, and every fadeout another promise. Whether or not you recognize it, this record, this snapshot of where this band is at this point in time, has already marked you, and you ease into the comfort of believing in something long lasting, if not eternal. And in a lot of ways, what you have with this music is permanent, because what is true love anyway if not timeless and steady? So when things start veering off in another direction, it’s not necessarily a cause for alarm. This band made this record for you as much as they made it for themselves. They offered up a piece of themselves so someone like you could learn to love what they’ve created, but when you fall in love (and maybe this is it), whatever it was you fell in love with in the first place is no guarantee of what’s to come in the future. With music, as with love, you have to accept that everyone has their time to change, and ultimately, to grow. We’re all just trying to do the best we can with what we have in a valiant effort to become more ourselves, to be as honest as we can possibly be to the kind of person we are, the kind of person we want to be. If we can give ourselves that, the kind of happiness we’re looking for won’t have to come in the form of validation from someone else, be it a stranger or someone more; it comes from within, and when shared, it comes back twofold. It’s useless and tiresome to try to cling too tightly to something, denying its propensity to change, because you gain more from loving openly and unconditionally than from being restrictive. The transformation POP ETC have undergone has shown me how to love someone better, be it a band or a relative or even a soul mate, and how to stop being so resistant to the kind of change the person we love needs. If anything, that person will have you to thank, will think of you in the brightest light, and will keep you even closer. It’s worth the risk, the push out the door and in the right direction, because for every person who walks out after you refuse to apologize for what makes you happy, there’s someone trailing close behind who applauds what you do and who loves you all the better for wanting to be someone better. I was trying to use an app on spotify that makes playlists for you based on your mood. They’re bad obviously (personally I don’t want to listen to Cher when I’m feeling romantic), so I thought I can maybe do this better. Of course I only have a few, you’ll notice angsty, depressed, trippin b*llz, rainy, shame spiral, and many others are missing so feel free to leave an emoticon with a corresponding song. MOOD: Why am I so behind on new music?!!! What’sthekoolbuzzbandIHAVEtoknowbeforeEVERYONE?!! If you read about my shame spiral earlier in the week, shame spiral no more my friends. However, I did spend another sleepless night writing a TV criticism paper. This also happens to be the week I discovered I picked the wrong major. Anyway, despite the sleeplessness and some other somber events this week, I’m grateful it’s Friday and I’m here to enjoy it and wanted to share some happiness with you too. Thought Catalog. If you’ve never read it before it provides comic relief and mutual understanding for stressed, dysfunctional 20 somethings. When you read it you actually LOLZ because you totes relate to what they’re talking about. Good reads this week include: 10 Things 90s Kids Will Have To Explain To Their Children, What’s Happening To My Body? Book For Girls, and The Unfit For Social Interaction Generation. Franzia in a can? I’m pretty sure my friend lied to me on this one. Can anyone confirm or deny this? Shame Spiral? Climb Out Now!! After having an unusually unproductive holiday weekend, I retreated into my bed turned desk to finally crank out a paper. Consequently, waiting until the last possible minute caused me to pull an all nighter and produce a ridiculously horrible film analysis. So to overcome suffering through an immense shame spiral (seriously, I got nauseous thinking about it today) I’ve been indulging in some music finds to ease the pain/embarrassment. Have you taken our quick survey? By filling it out you’re helping us to improve what we offer you and not only will you feel satisfied in wielding so much power in such a short amount of time, but you’ll also be entered for a chance to win an iPod nano and other kewl stuff. Take the survey now online or stop by a table at one of our upcoming shows. Drawings will be December 9th!